A couple weeks ago, about 80 theorists and experimentalists descended on Valencia, Spain in order to attend the fourth annual BOOST conference (tag-line: “Giving physics a boost!”). 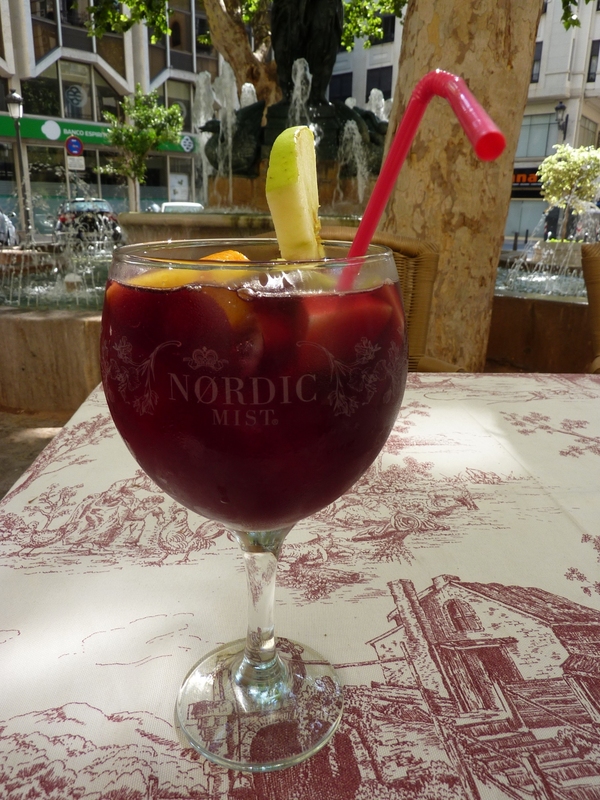 On top of the fact that the organizers did a spectacular job of setting up the venue and program (and it didn’t hurt that there was much paella and sangria to be had) overall I’d have to say this was one of the best conferences I’ve attended. Differing from larger events such as ICHEP where the physics program is so broad that speakers only have time to give a cursory overview of their topics, the BOOST conferences have more of a workshop feel and are centered specifically around the emerging sub-field of HEP called “boosted physics”. I’ll try to explain what that means and why it’s important below (and in a few subsequent posts). In order to discuss boosted physics, something already nicely introduced in Flip’s post here, I’m going to use the decay of the top quark as an example. The most massive of all known fundamental particles by far, weighing in at around 173 GeV/c2, the top quark has an extremely short lifetime….much shorter than the time scale of the strong interaction. 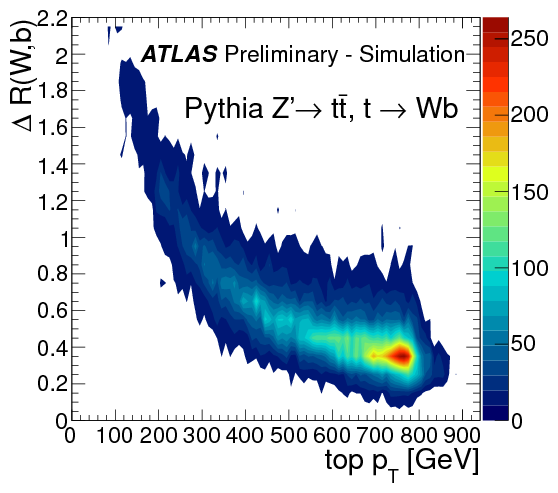 Thus the top quark doesn’t have time to “hadronize” and form a jet…instead, it will almost always decay into a W boson and a b quark (more than 99% of the time), making it a particularly interesting particle to study. 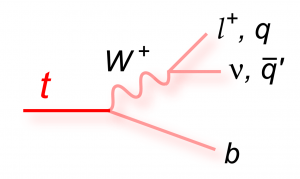 The W boson then decays into either a lepton and a neutrino or two lighter quarks, and the full top decay chain is colloquially called either “leptonic” or “hadronic”, respectively. The point: if a t-tbar event is produced in the detector, it’s fairly likely that at least one (if not both) of the tops will decay into jets! Unfortunately compared to the leptonic mode, it turns out this is a pretty tough channel to deal with experimentally, where at the LHC we’re dominated by a huge multi-jets background. If a t-tbar pair was produced with just enough energy needed to create the two top masses, there wouldn’t be energy left over and the tops would be produced almost at rest. This was fairly typical at the Tevatron. 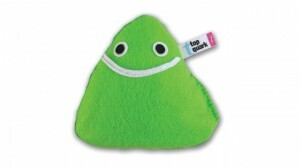 With the energies at the LHC, however, the tops are given a “boost” in momentum when produced. This means that in the lab frame (ie: our point of view) we see the decay products with momentum in the same direction as the momentum of the top. This would be especially conspicuous if, for example, we were able to produce some kind of new physics interaction with a really heavy mediator, such as a Z’ (a beyond-the-Standard-Model heavy equivalent of the Z boson), the mass of which would have to be converted into energy somewhere. Generally we reconstruct the energy and mass of a hadronically-decaying top by combining the three jets it decays into. But what if the top was so boosted that the three jets merged to a point where you couldn’t distinguish them, and it just looked like one big jet? This makes detecting it even more difficult, and a fully-hadronic t-tbar event is almost impossible to see. At what point does this happen? It turns out that this happens quite often already, where at ATLAS we’ve been producing events with jets having a transverse momentum (pT) of almost 2 TeV! 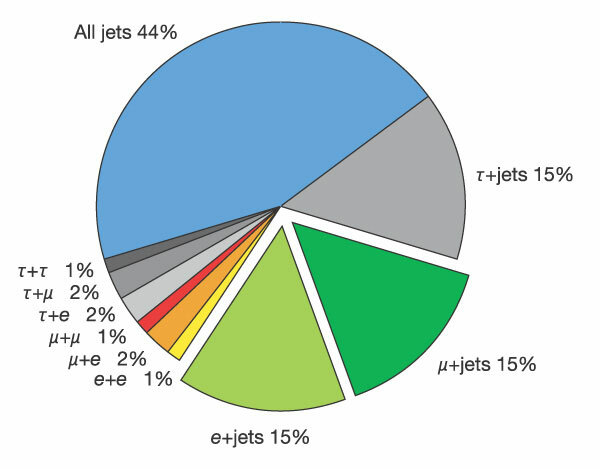 A typical jet used in analyses in ATLAS has a cone-radius of roughly R=0.4. (ok ok, the experts will say that technically it’s not a “cone,” let alone something defined by a “radius,” as R is a “distance parameter used by the jet reconstruction algorithm,” but it gives a general idea.) With enough boost on the top quark, we won’t be able to discern the edge of one of the three jets from the next in the detector. Looking at the decay products’ separation as a function of the top momentum, you can see that above 500 GeV or so, the W boson and the b quark are almost always within R < 0.8. At that momentum, individual R=0.4 jets are hard to tell apart already. The opening angle between the W and b in top decays as a function of the top pT in simulated PYTHIA Z'->ttbar (m_Z' =1.6 TeV) events. We’ll definitely want to develop tools to identify tops over the whole momentum range, not just stopping at 500 GeV. The same goes for other boosted decay channels, such as the imminently important Higgs boson decay to b-quark pairs channel, or boosted hadronically-decaying W and Z bosons. So how can we detect these merged jets over a giant background? That’s what the study of boosted physics is all about. Next next: Pileup at the LHC….a jet measurement nightmare.